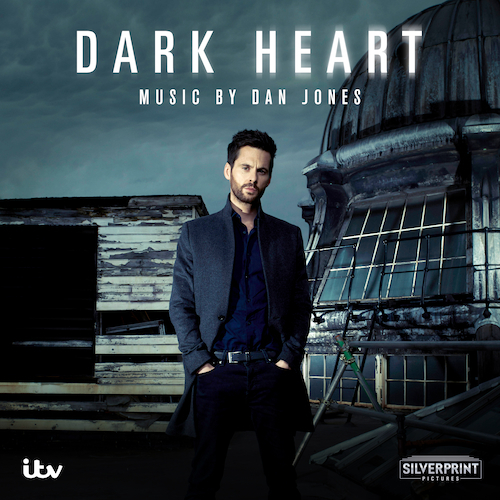 Composer Dan Jones’ atmospheric score to ITV’s gritty 6 part revenge thriller. Starring Tom Riley (Da Vinci’s Demons, The Collection), Charlotte Riley (Peaky Blinders, Close To The Enemy), Miranda Raison (Murder on the Orient Express, Silk) and Anjli Mohindra (Bancroft, Bodyguard). Written by acclaimed screenwriter Chris Lang, whose work includes award-winning dramas Unforgotten, Torn, Undeniable and A Mother’s Son, Dark Heart is a 6 part series set in London. Featuring an abrasive and disturbing storyline, Dan Jones’ soundtrack flawlessly captures the inner turmoil of the Dark Heart’s protagonists. Dan Jones is a classically educated, BAFTA and Ivor Novello Award winning composer. Ranging from epic orchestral scores to experimental sound design, Dan Jones’ credits include Louis Theroux’s documentary feature My Scientology Movie, the primetime BBC drama series The Replacement and Man In An Orange Shirt, and the second series of BBC’s hugely successful The Hollow Crow. Other credits include Channel 4’s Any Human Heart, Oscar nominated Shadow of the Vampire, starring John Malkovich and Willem Dafoe, feature adaptation of Ian McEwan's On Chesil Beach and The Miniaturist for which he received his third Ivor Novello Award last year.